Various tools and toys are employed by Sharla Benedict-Region in her classes to help engage both parents and children in music. For example, she said scarves and fabric are excellent ways for young children to experiment with rhythm. Music is often referred to as a universal language; something that people regardless of age or culture can understand and appreciate. Trying to introduce kids to it in a meaningful way, though, can be difficult. That's where Sharla Benedict-Region and Shar-La-La Music Together come in, offering a way for parents to play with their children musically and explore music together. Benedict-Region's classes started up last fall, and she said she's seen a lot of growth and success over the three semesters she's taught thus far. "At home, the children will hum the song we sing at the beginning of class or they'll start experimenting with rhythm and trying to move their bodies to a song," she said. "Even in little guys, you wouldn't think it would happen, but as early as 4 months [old] there's evidence that they're picking up bits of music." A teacher by trade, she began offering Music Together classes after looking for an early childhood music class to take with her then-2-year-old daughter. 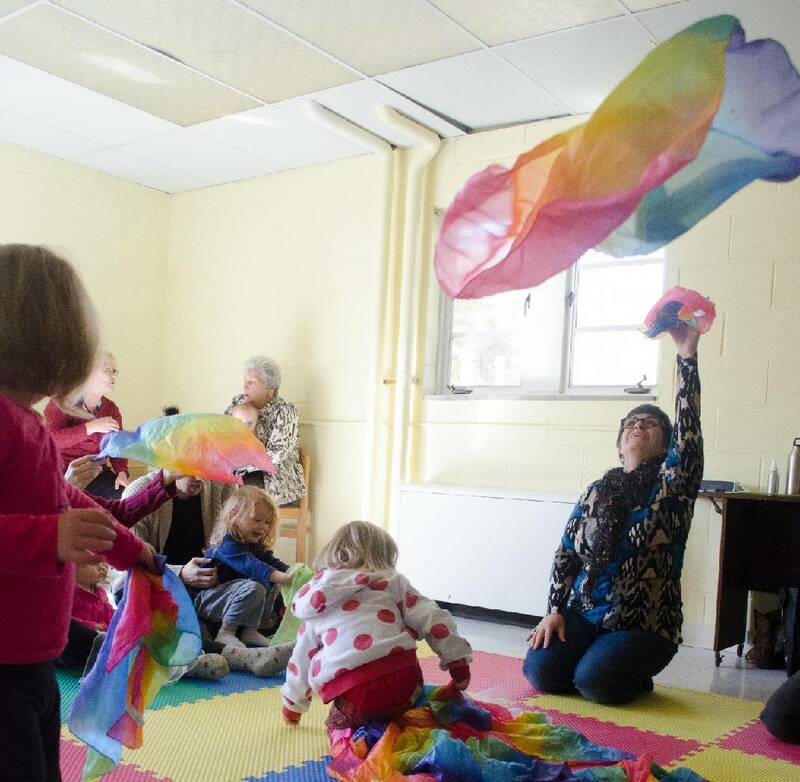 She couldn't find a class close by that suited what she was looking for, but came across Music Together, an internationally recognized children-centric music education program. As a musician and teacher, Benedict-Region thought leading such classes was something she could do, so she reached out to Music Together which helped train her to be able to organize and run the program's classes. Each semester is 10 weeks long with one 45-minute class per week. She said the results are quickly apparent in her students. "Children under [age] 6 generally don't benefit from formal music instruction. Play instruction enables them to absorb and be engaged with the music, as well as let them use whatever learning style that is best for them," she said. "Ultimately, we just want a space that's safe that they can play in." Benedict-Region also helps instruct parents on how to identify musical milestones in their children, and how to encourage musical play as an outlet for them. According to her, enrollment in her classes has been excellent, and families have been really taken with the idea of musical play. "You don't have to be a musician to enjoy it," she said. For more information about her classes, visit sharlalamusictogether.com.